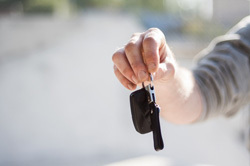 Huronia can cut, program, and replace your car keys, fob, and transponder while you wait, and at a cost that is generally lower than the Dealership. Manufacturer advances in key-chip technology to improve automotive security often means that you have to go back to the Dealer when keys get lost or damaged, or to have additional keys cut for your car, truck or SUV. Huronia has a full range of chipped and standard automotive keys for all North American Cars including: Buick, Cadillac, Chevrolet, Chrysler, Dodge, Ford, GM, General Motors, Jeep, Lincoln and Mercury. Huronia can also cut and program most import automobiles including: Honda, Jaguar, Land Rover, Acura, Datsun, Infiniti, Isuzu, Lexus, Mazda, Nissan, Kia, Subaru, Toyota, Audi, Volkswagon, BMW, Mercedes-Benz, Porsche, Hyundai, Tesla, Aston Martin, Bentley, Lotus, MG, Mini, Rolls Royce, Peugot, Suzuki, Mitsubishi and Daimler. We also provide motorcycle and speciality key cutting for manufacturers like: Yamaha, Harley Davidson, Kawasaki, John Deere, Kubota, Bobcat, Callaway, Freightliner, Navistar, Peterbilt, Polaris, Ram, Western Star, Daihatsu, SkiDoo, Artic Cat, Cessna, Bayliner and Evanride. For fast and easy replacement of your lost or stolen car keys, or if you just want an extra set of keys for peace of mind, we are open 8am-5pm Monday to Friday at our Collingwood location. A transponder key contains a computer chip, which disarms a vehicle’s electronic security device fitted to a vehicle which prevents the engine from running unless the correct key is being used. This prevents the car from being “hot wired” and helps to reduce automobile theft. The majority of keys for cars built after 1995 contain transponder chips. When the car key is turned in the ignition, the engine control unit on the car sends an electronic message to the key, that will allow the car to start, provided it receives the correct message back. So, even for a simple car key without any buttons, the key must be cut correctly to turn the locks, and also programmed correctly to disarm the immobilizer. Car keys with chips are programmed using special programmers. Email us to discuss your automotive locksmithing needs. ©2019 Huronia Alarm & Fire Security Inc.. All rights reserved.